This trail is rated between a 3 to 4 out of 5. 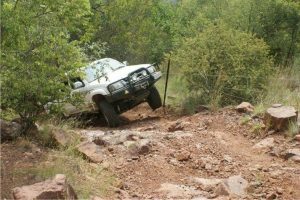 The 4X4 trail starts in basic bushveld with sandy tracks, and winds through fairy tale gorges and valleys steadily climbing up hilly and mountain passes on typical rocky mountain trails to the overnight camp. Encounter various obstacles on the way up and cross several mountain streams on the route which will test your driving skills and train the newcomers to this very pleasant sport under expert guidance from your guides. Overnight stop on the highest outcrop in the area overlooking beautiful valleys where participants must provide their own camping equipment. Enjoy the beauty of a bushveld sunset around a provided log fire. 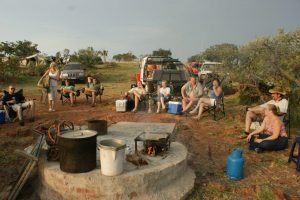 Spend an evening with friends and new acquaintances whilst cooking your evening meal on supplied braai facilities. The convoy leaves the next morning after breakfast following a different route down the valleys, again crossing streams before arriving back at the 4x4ATV Camp site around noon, where certificates are issued by the Trial Master to all drivers who completed the trail. The total distance of the trail is approximately 80km. 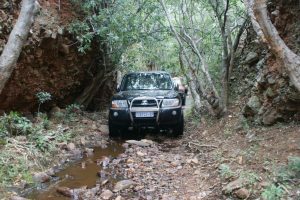 The trail is situated halfway to Warmbaths to the north of Pretoria, east of the highway between Rust de Winter dam and Moloto. Very near to the small town of Rust de winter in the Limpopo Province. Drivers should preferably know their vehicles and have some off-road experience. The trail is not dangerous if drivers follow the advise of the tour guides. When obstacles or difficult terrain is covered, officials will guide drivers as and when required. 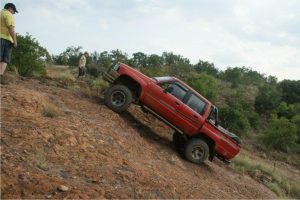 Drivers will definitely learn more about what their vehicles are capable of and gain valuable experience on this trail. Two days. 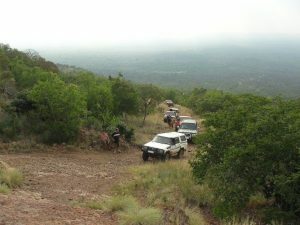 Trail starts from Rust de Winter camp at 10h00 on the Saturday and participants will be back in camp by 14h00 on the Sunday. 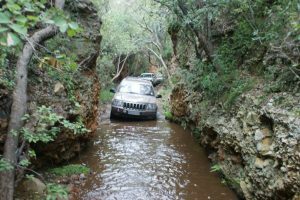 Participants will experience typical un-spoilt bushveld scenery and see game and birds while traveling over sometimes difficult terrain. In the summer months the valleys are covered in a green expanse of beauty which will long be remembered. Trail proceeds through the famous 'lovers lane' which is a water formed gorge through alluvial rock covered in evergreen trees that form a continual leaf tunnel and shade. Trees along the trail are identified with National Parks signage and numbering. In the rainy season streams are filled with crystal clear water to add to the beauty of the area. 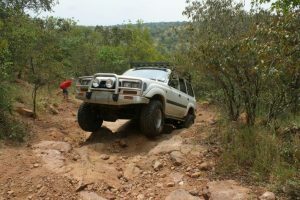 The crossing of these and the pleasure of the trail as a whole, again highlights to the driver why they purchased a 4X4. 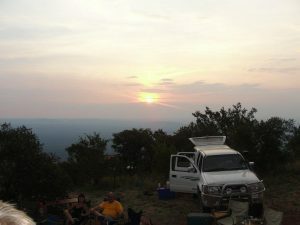 The starting and end point is from the 4x4ATV Club's official camp site at Rust de Winter. Participants are welcome to extend their stay before or after the trail at a nominal fee of R60.00 per person per day. (Non-members pay R80.00 per person per day.) Please note however that the Friday night before the Bundu leaves camp, is free of charge. The facilities at the overnight camp on the mountain are very basic. There are flush toilets and Bush showers with a view to die for. Participants must take their own drinking and shower water to use in provided showers. Trails can be booked from January to May and August to December. Club events hosted at Rust de Winter will receive preference - please confirm availability. A minimum of 10 to a maximum of 15 vehicles are required. - Please remove running boards and excaliburs. 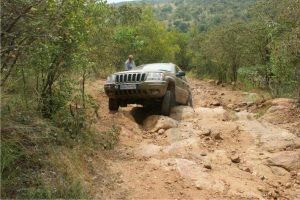 Please note that the Jeep Cherokee Sport and Suzuki Jimny in standard form will not be allowed on the Trail as these vehicles do not have sufficient clearances all round.